Jane Dement McKelley, age 65, passed away peacefully in the early hours of April 26, 2017. Born in Nashville October 6, 1951, Jane was a 1969 graduate of Hillsboro High School who went on to attend Harding College and Eastern Kentucky State University. After receiving her law degree from The University of Tennessee College of Law, Jane was a practicing attorney before devoting her life to raising two daughters. She was a lifelong member of West End Church of Christ. 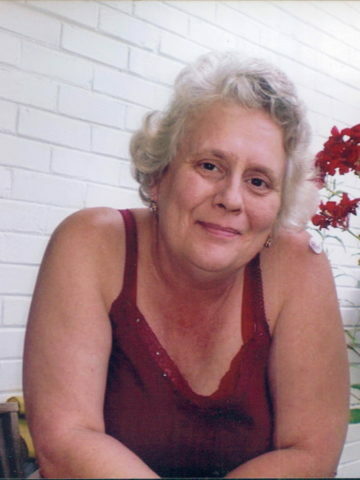 Jane will be remembered for her sharp wit, strong personality, and love of reading and gardening. Jane is preceded in death by husband, James Tyre Havron, Sr.; her parents, James Dudley and Clemmie Dement McKelley. Survived by daughters, Jessica Rosalie McKelley-Havron and Kathleen Jane McKelley-Havron; sisters, Nancy (Neil) Jordan and Linda (Steve) Gloyeske. Visitation with the family will be held at West Harpeth Funeral Home, 6962 Charlotte Pike, Friday, April 28, from 11:00am until the Celebration of Life at 3:00pm.There will be later inurnment at Middle Tennessee Veterans Cemetery. In lieu of flowers please make a donation to West End Church of Christ or a charity of your choice. I will remember Jane always as whitty, smart , and interesting. We were close the first couple of years of our lives. She was a month older and our mothers were sisters. Our family moved away from Nashville and Jane and I were never again as close as we were then. My condolences to her daughters and sisters. I remember Jane in the neighborhood growing up. Julia Green and Hillsboro. Her family’s home was always a fun place to be. Praying for peace in the sad time. Linda, I’m so sorry for your loss! I live and work very near the funeral home and noticed the crowds this afternoon but just now discovered it was your sister. I’m sorry I didn’t get to see you today and if you’re going to be in town for a few days and have time please get in touch with me.